Anti-Semitism had existed in France long before the Nazis arrived. Although the Jews of France had been legally emancipated since the French Revolution (1791), they still faced prejudice. The Nazi Occupation simply served to intensify the anti-Semitic and xenophobic attitudes and practices that permeated French culture and politics. Harsher than the Nuremberg Laws, the Anti-Jewish Laws took away Jews' natural rights. Prior to 1940, many Jews came to France because of all the European nations, France had the most rights for Jews. After 1940, however, the Vichy Government made conditions progressively worse for Jews. Philippe Pétain and his puppet government passed laws that banned Jews from professions such as teaching and business. These statutes also required Jews to wear the infamous yellow Star of David inscribed with the word, "Juif." And while everyone was required to carry with them identification cards, the Jews' cards were stamped with big red letters, "JUIF." Concentration Camps were established throughout both Occupied France and Vichy France. Jews were divided into two groups: French Jews and foreign Jews. Although all Jews had to abide by the Anti-Jewish Laws, the first targets for deportation and subsequent elimination were the foreign Jews. The heightened xenophobia in France played a key role in this. One complication for the Vichy Government was what to do with the children of immigrants. Many of the Jewish immigrants were not citizens of France, but because they had children after they immigrated, the children were French citizens. The Vichy Government would ultimately arrest the children citing that it was more "humanitarian" to not separate families. Eventually, though, all French Jews were not safe, as in the story below of Hèléne Berr. Jewish-owned businesses and eventually homes with all of their belongings were confiscated and sold to non-Jews. Although many French took advantage of the opportunity to profit at the expense of the Jews, others "purchased" their Jewish neighbor's homes or businesses with the honorable intention of giving it back to their Jewish friends after the war. No one expected that most of these Jews would not survive the next five years. Hèléne Berr had her whole life before her. A bright young woman, Hèléne lived in Paris and studied English at the Sorbonne. In fact, she was smitten with the English language and loved to use it any time she could. She had doting parents, wonderful friends, and had found love with Jean Morawiecki, the man who would become her fiance. Although her family was well respected and her French heritage dated back for generations, Hèléne was Jewish. Hèléne did not begin her diary until April 1942, nearly two-years into the Occupation. She began to chronicle the events of both her daily life and the Occupation, which become more deeply intertwined as time progresses. As the Anti-Jewish Laws became more stringent, Hèléne chose to wear her yellow star with pride, instead of shame. But no amount of pride could hide her devastation upon being banned from the Sorbonne, or mask her grief and worry upon her father's arrest. By reading her diary, one can live vicariously through the eyes of a young Jewish woman during the Nazi Occupation of Paris. Tragically, Hèléne died at Bergen-Belsen five days before the camp was liberated by the British. Her fiance kept the diary for years, and eventually passed it along to Hèléne's niece, who published it in 2008. Russian-Jewish immigrant Irène Némirovsky seemed to have it all - talent, a burgeoning writing career, an adoring husband, and two beautiful daughters. None of that mattered to the Nazis who, despite her conversion to Catholicism, and the fact that she had lived in France longer than she ever had in Russia, still considered her to be a Russian Jew. While she ensured her daughters' safety, she and her husband were not able to save themselves. In 1994, a remarkable event occurred. Némirovsky's daughter shared with the world her mother's final novel. Although an incomplete work, Suite Française is considered Némirovsky's masterpiece and leaves people to wonder how much she might have accomplished had she not perished in the Holocaust. On the 16-17 July, 1942, La Rafle du Vel d'Hiv (The Roundup of the Winter Velodrome). 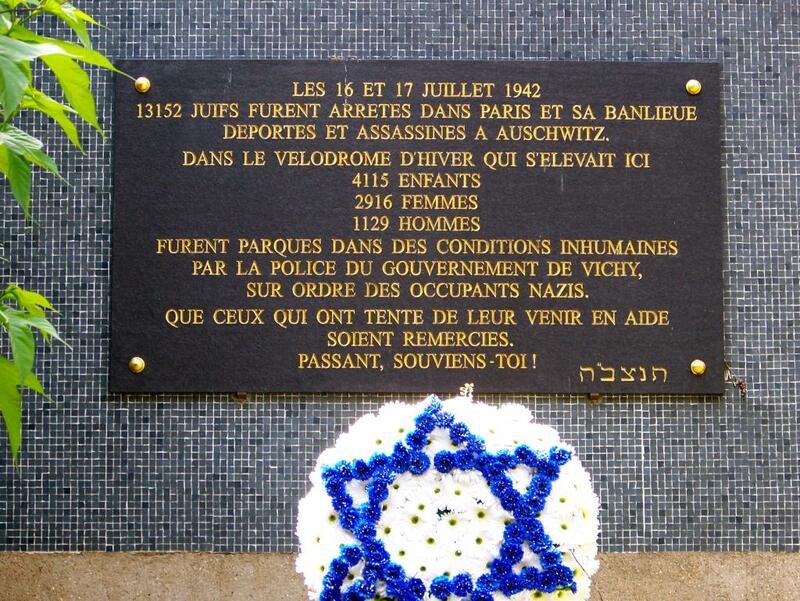 13,152 Jews were arrested and held in Paris' Velodrome d'Hiver in the most inhuman conditions. 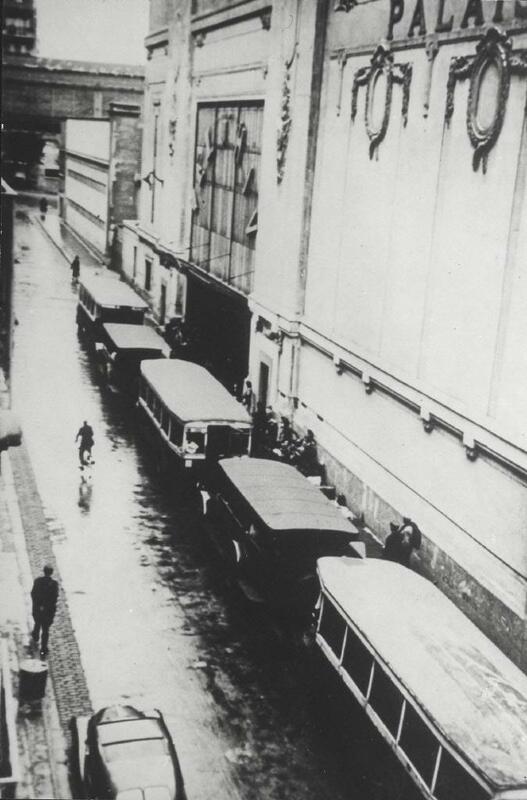 They were then taken to transport camps close to Paris, and from there deported on convoys to Auschwitz. This event has been brought to public awareness by Tatiana de Rosnay's best selling novel (and now movie) Sarah's Key, and the movie La Rafle. What makes this event so significant to French history is that it was organized and executed by, not the Nazis, but the French (Vichy Government). In order to deport the Jews of France to concentration and death camps in Eastern Europe, several internment, or transit, camps were set up around France. Those who left from Paris typically were sent to one of three camps on the outskirts of the city: Drancy, Pithiviers, and Beaune-la-Rolande. The purpose of the transit camps was to serve as a holding grounds while the detainees awaited deportation. Ultimately, France would be responsible for the extermination of approximately 90,000 of its Jews, or 26% of its Jewish population. Today, the Holocaust in France is commemorated at La Mémorial de la Shoah, or the Shoah Memorial, in Paris. English-speaking guides are available for a moderate fee, but must be arranged in advance. If you do not speak or read French, I would strongly recommend a guide. "The Jew and France" was an exposition held in Paris 1941-1942 to "educate" the people of France about the Jew. Truly, it was anti-Semitic propaganda. There is no need to be fluent in French to understand the message behind this exposition. Holocaust survivor Jacques Bienstock describes what it was like to wear the yellow star in this excerpt from the Spielberg Shoah Project.